Jimmy Lee Isom has been missing since September 2017. Investigators believe he may have been killed. Investigators say based on interviews, they believe foul play may have been involved in Jimmy Lee Isom's disappearance, and that he may have been killed. 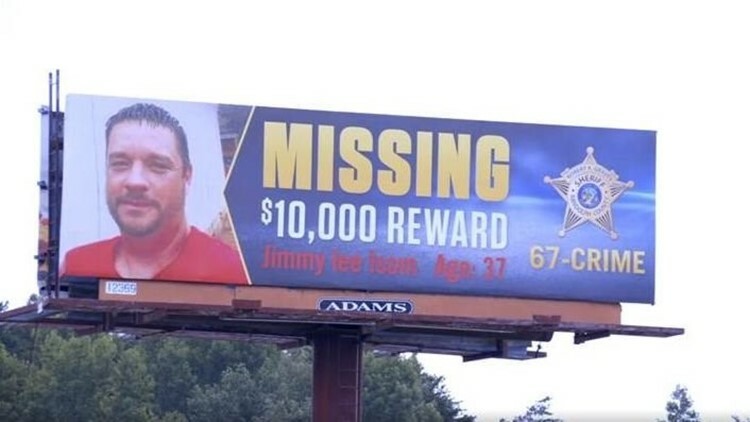 RANDOLPH COUNTY, N.C. -- Randolph County Sheriff's Deputies hope a large billboard on the side of Highway 64 will get more people's attention in the case of a missing Randolph County man. There is now a $10,000 reward for information that can help investigators find Jimmy Lee Isom. Isom was reported missing in September of last year. Sheriff's investigators say based on interviews, they believe foul play may have been involved in Isom's disappearance, and that he may have been killed. However, they've gotten no information on where his body could be. Jimmy Lee Isom is described as approximately 5’10”, 190 lbs., hazel eyes, brown hair and has a cross tattoo on his wrist. Anyone with information in this case should call Randolph County Sheriff's Office at 336-318-6699 or Randolph County Crime Stoppers at 336-672-7463.